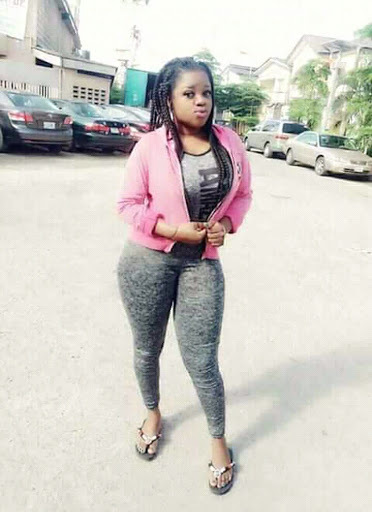 A slay mama made a shocking revelation on a Facebook group page about how she posses spiritual powers that absorbs a man destiny and blessings after sleeping with her. She revealed that every success and destiny of any man she sleeps with becomes hers, and the victim would remain wretched forever. The lady with the Facebook user “Queen lisa lisa” said this, perhaps to create a certain impression of her to every user that may have seen it, even though no one knows how genuine or real she could be, it still sounds a note of warning to every guy out there to beware. 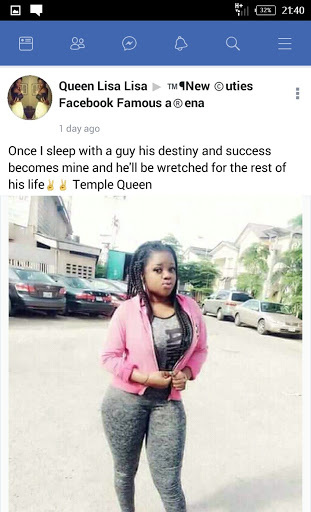 Once i sleep with a guy, his destiny and success becomes mine, and he’ll be wretched for the rest of his life Temple queen. 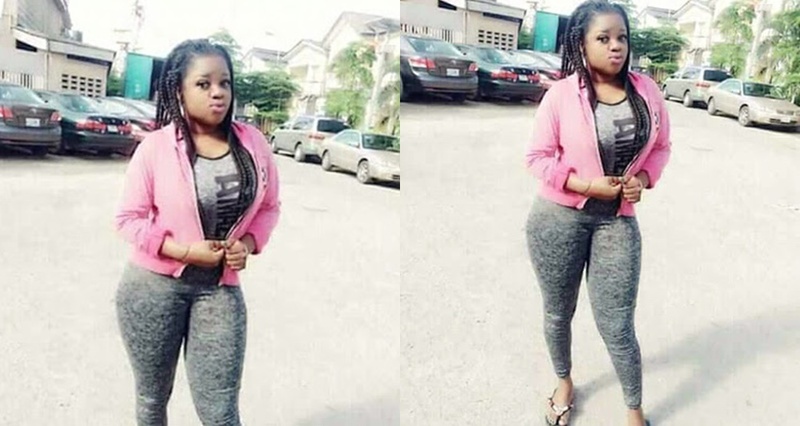 0 Response to "“Once A Guy Sleeps With Me, He Become Wretched For Life”- Slay Queen makes shocking revelation"